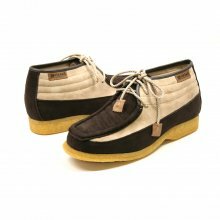 British Collection by Original British Walkers Inc presence BWB. 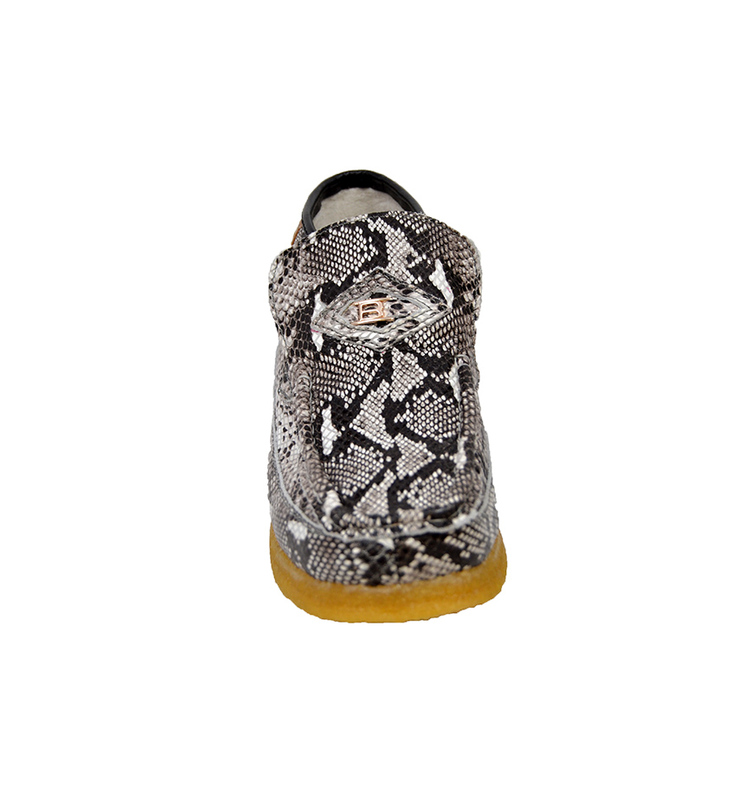 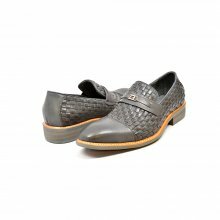 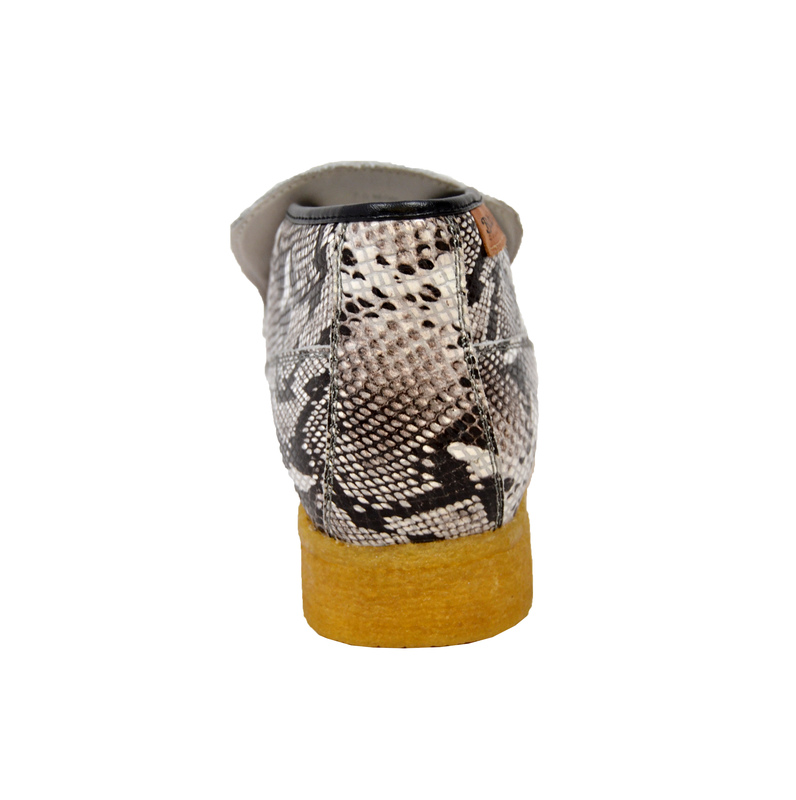 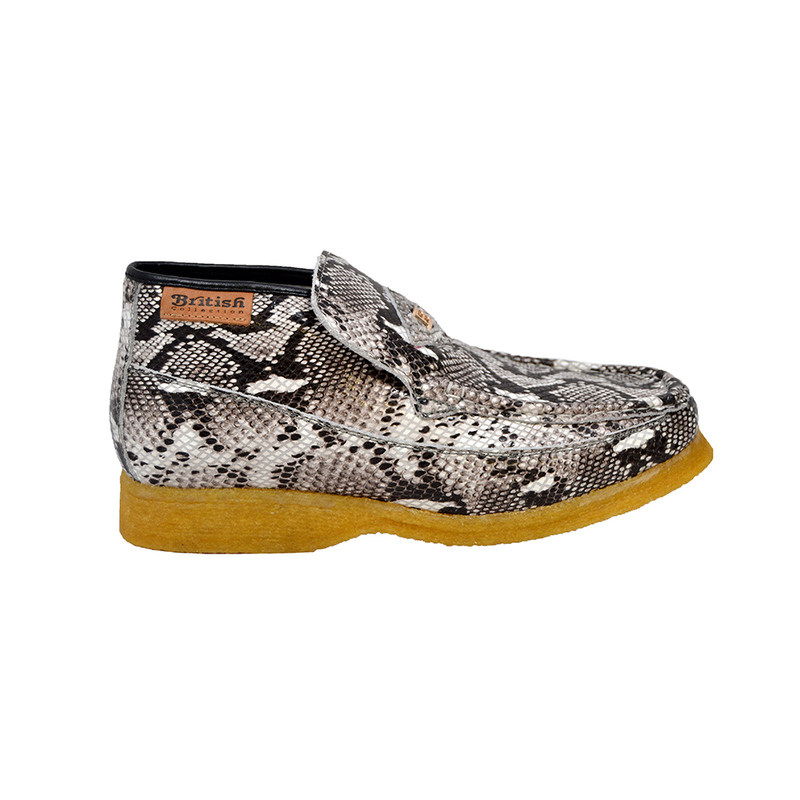 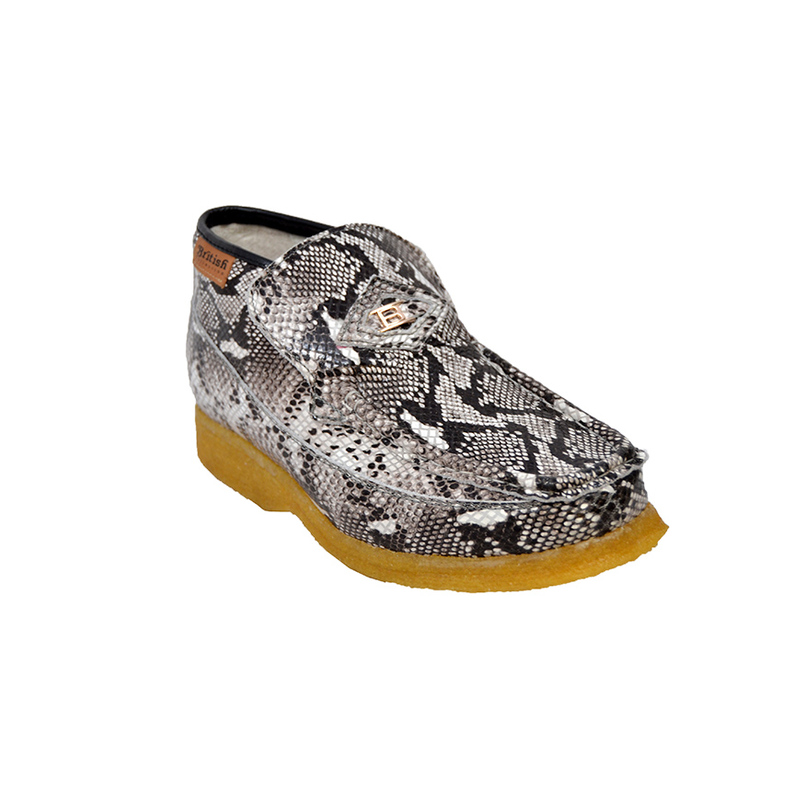 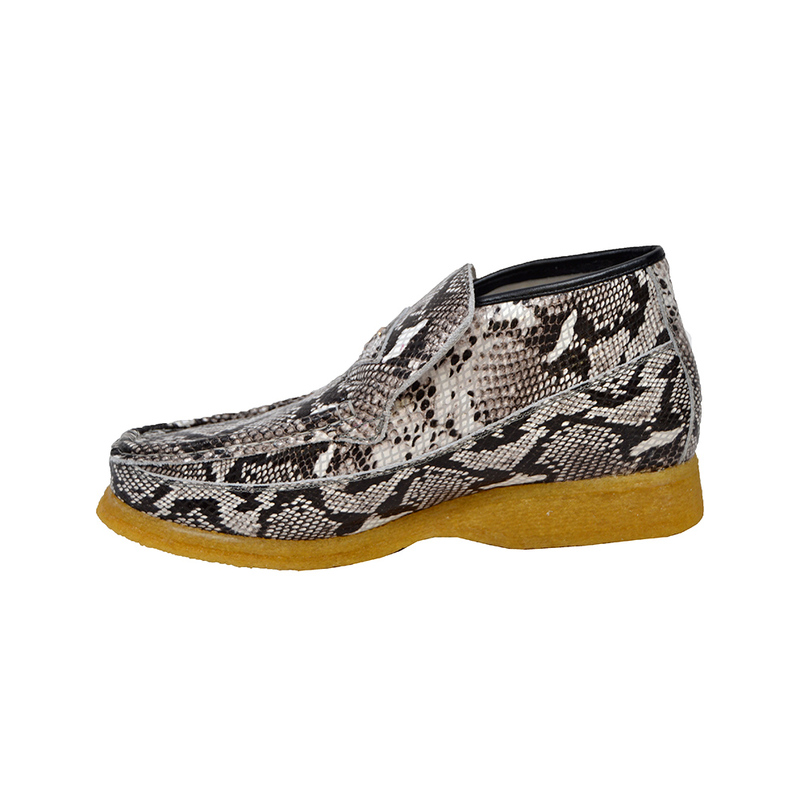 A 3/4 handmade Snakeskin pattern genuine leather slip on with a Crepe Sole to last a lifetime. 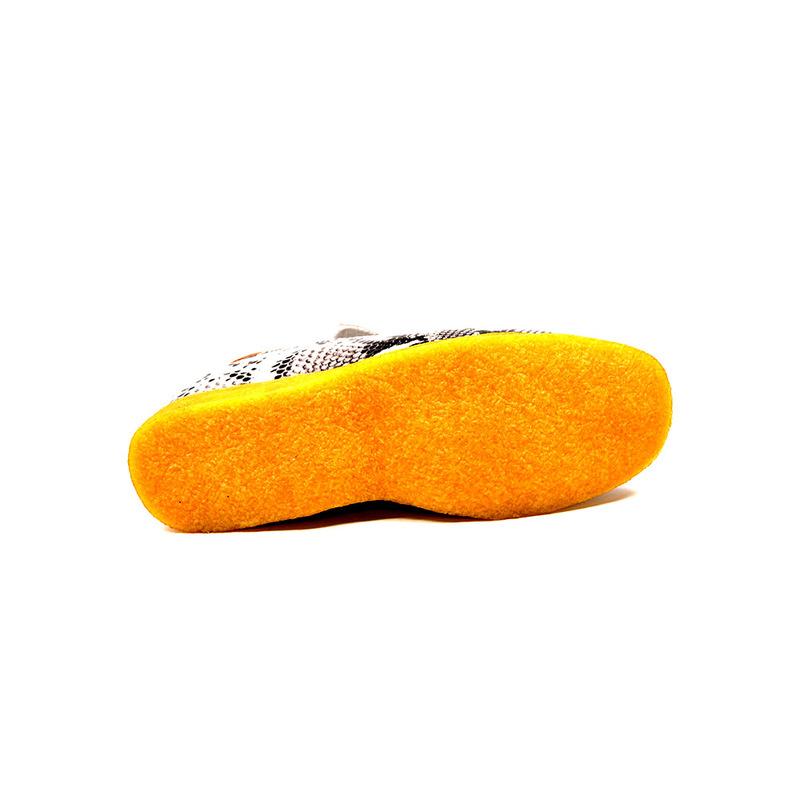 BWB also comes with the classic front "B" logo to make your style Comfortable for your everyday walk!